Birthday parties, weddings, corporate events, and other celebrations can be made even more special with our gelato cart! Our custom-made Sicilian gelato cart is equipped to serve up to 250+ guests. Please contact the Hanover or Chestnut Hill store directly under our CONTACT US page to learn more about the cart and for a custom quote. Please note that we require a full 3-weeks advance notice to book events and cannot guarantee any date until a deposit is received and a confirmation is made via email. 5-liter tubs of gelato can be purchased for pick up in our stores with a 2-week advance notice for events. These come with 1-2 flavors of gelato/sorbet in season and can be ordered directly via email with the store of choice under the CONTACT US page. Pricing information can be requested via email as well. 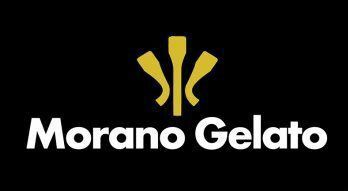 Please note that we do not offer our gelato wholesale to other businesses for retail sale. Each location currently offers a selection of gelato cakes for any occasion. Our cakes range in size and price, and typically come with 1-2 gelato/sorbet flavors of the customer's choice provided the flavors are in season. All cake orders require a minimum of 2 days to order in each location and cannot be guaranteed until a prepayment is received and a final confirmation by the store is made. Please note that we cannot personalize our gelato cakes with messages. To order the cake, please email Hanover or Chestnut Hill directly under our CONTACT US page. In each store, we offer our Italian-style to-go containers that can be hand-packed with our freshly made daily flavors (up to three flavors per container). To preorder or for pricing information, please contact the store of your choice. No order can be guaranteed until confirmed by the Morano Gelato shop.